The nine-year veteran K-pop boy group held a comeback showcase for their new mini album as the SAC Art Center in Gangnam on May 8. 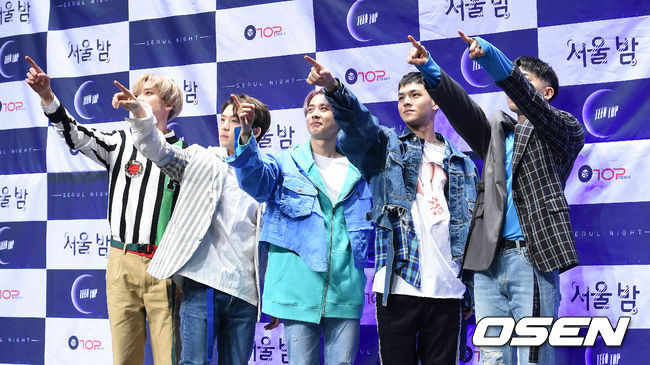 There, the group talked about returning, their music and fans. On this day, Teen Top performed their new song “Seoul Night” on stage along with a few of their classics. Catching the ear, their new song stood out with a kind of free performance and an addictive melody. Later, the group sat down to answer questions. When asked what they wanted to do should they place first on a music show, Neil replied he wanted to do something with fans. “I want to have a special event at night with my fans. Fireworks or a barbeque would be good.” like fireworks and barbecue.” Following this Changjo said that he “wants to build memories” with fans. Check out “Seoul Night” below!